This week we've had a couple of exciting new releases through the door at MW. Firstly, the much anticipated Domaine William Fevre, a huge player in Chablis.2016 was another challenging vintage in Chablis as they seem to have been in recent times. 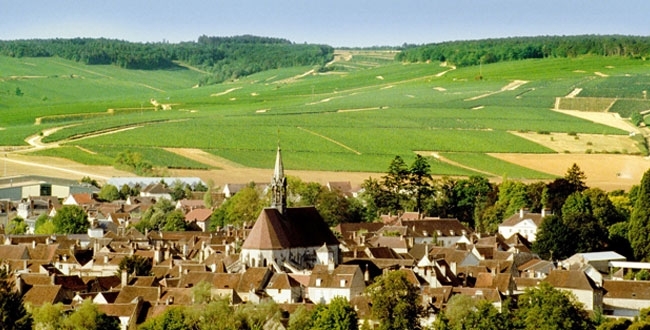 Fortunately some favourable weather towards the end of the season resulted in wines of classic Chablis style albeit with tiny yields compared to a year like 2014. With such reduced crops these wines are in extremely short supply so make sure to secure yourself these classic wines before they all go! Given these wines are so limited, they will be strictly offered on a first in, first served basis. Gary Mills of Jamsheed has been making his Victorian Syrahs since 2003 and we're pumped to be offering his latest releases.Gary's a cool guy and his wines are incredibly popular so it might be easy to assume they're a bit hipster for MW, but the fact is these wines are deeply structured, well balanced, ageable and absolutely delicious drinking. We had Gary in the office on Wednesday showing them off and we were very impressed. The Seville is the most approachable drink now but our favourite was probably the Garden Gully from Great Western. Decant well if you plan to drink young or hold on for at least five years before you take them out of the cellar. 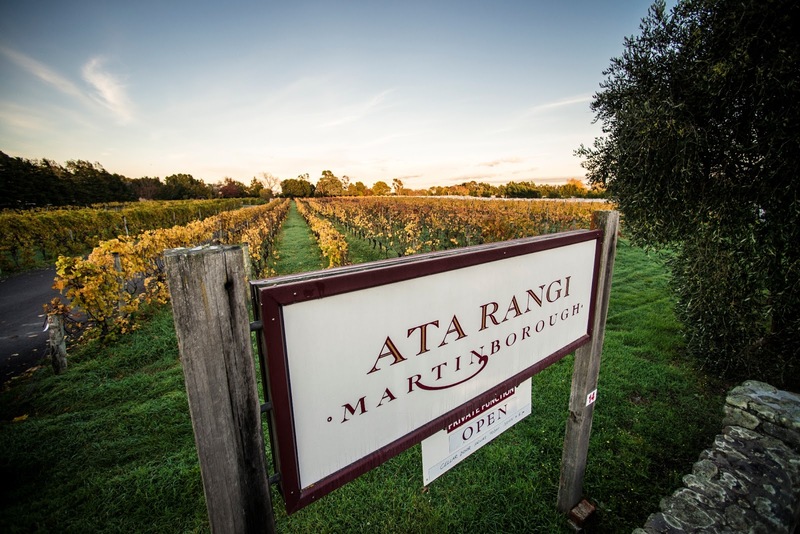 Finally, we have one of the biggest names in New Zealand Pinot Noir, Ata Rangi. For years now Clive Paton and Helen Masters have created incredible Pinots with consistency and power. The winery began its life in 1980 when Clive planted vines on the Martinborough Terrace after agricultural scientists conducted a study into the region revealing it as the closest New Zealand climactic analogue to Burgundy. Since then the focus has been on elegant yet dark and brooding wines that strike a balance between power and finesse.Clive and Helen have stayed true to this style despite the popularity of the 'fruit-bombs' of other regions and we think that's not a bad way to be! Régisseur Didier Séguier describes 2016 as a "growing season absolutely ravaged by frost. It was so bad in places that there was essentially no harvest at all...Thankfully conditions improved somewhat in July though August...September continued this trend and we began to see some hydric stress in certain sectors though a small storm that dropped around 15ml of rain was just enough to jump start the vines toward the final maturity. We chose to begin picking on the 22nd of September and brought in ripe and clean fruit with excellent phenolic maturities. Unfortunately yields were awful and across all of our terroirs we realized only one-third of a normal crop...With respect to the style of the wines, the minerality has become much more apparent as the élevage has progressed. The 2016s are very rich and dense wines of high maturity that manage to remain balanced and refreshing. Between 2015 and 2016, I have a slight preference for 2016 due to the more evident minerality." 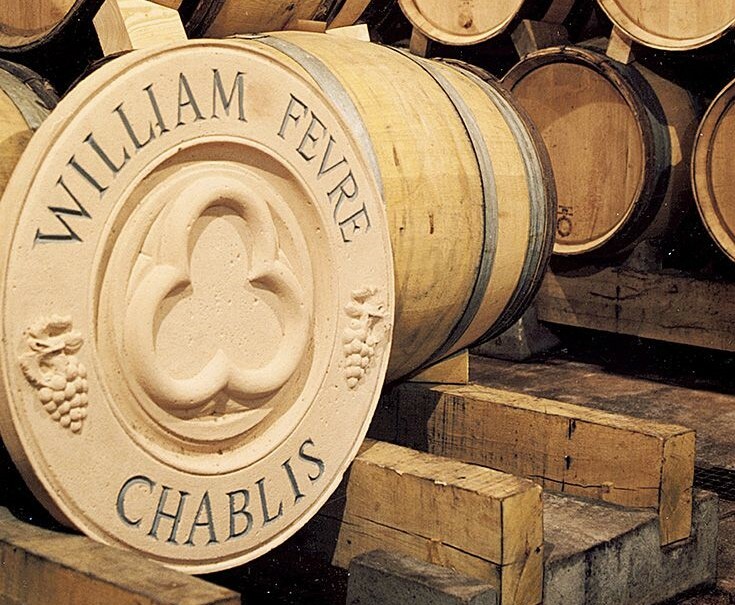 I have mentioned this before but it bears repeating so readers will not be surprised: for several years now Fèvre has elected to bottle its entire range, including the grands crus, under the Diam cork. These wines are extremely limited and will are offered strictly on a first in, first served basis. A mildly exotic but still agreeably fresh nose combines notes of viognier, mango and white peach. The impressively rich and relatively powerful medium-bodied flavors possess excellent concentration and despite the high ripeness level, the balance is saved by the citrus-tinged acid spine on the sneaky long and relatively dry finale. Drink 2020+. A much more reserved if slightly exotic nose grudgingly reflects notes of white and yellow fruit that includes apricot and white peach along with wisps of wood, iodine and ocean shore. There is impressive density to the sleekly muscular medium weight flavors that coat the palate with dry extract, all wrapped in an agreeably dry, focused and lingering finish where a hint of warmth appears. Drink 2022+, Sweet Spot, Outstanding. An ultra- elegant, pure and airy combination is composed by notes of pear, apple, mineral reduction and floral nuances. There is a lovely sense of underlying tension to the refined medium weight flavors that exude noticeable minerality on the persistent, balanced and delicious saline-inflected finish. Lovely stuff and worth considering. Drink 2022+, Sweet Spot, Outstanding. A pungent nose consists of a potent mix of fennel, oak, menthol, mineral reduction and essence of pear. There is excellent density and power to the medium weight plus flavors that still manage to come across as quite refined thanks to hugely long, balanced and sappy finish. This classy effort needs a few years to develop more depth but the material is present for that to happen. Drink 2023+, Don't Miss! Notes of mildly exotic white peach, viognier and mineral reduction combine with those of floral and discreet spice nuances. There is a restrained energy to the caressing, intense and lilting middle weight flavors that possess good richness as well as a lovely sense of refinement on the bitter lemon-infused finale where a touch of warmth arises. This is pretty but it's not quite as dry and overall, this lacks the same depth as the best here. Drink 2022+. More interest and complexity than their Bougros with herby notes as well as a lovely nutty perfume on the palate. Dry, fleshy, pithy and saline on the finish. Lovely balance and elegance. Drink 2018-2032. A super-fresh, cool and admirably pure nose exhibits notes of iodine, citrus, white rose petal, sea breeze and mineral reduction scents. Like several wines in the range I very much like the lovely texture of the energetic medium weight flavors that also possess fine concentration before terminating in an intensely saline-infused, balanced and wonderfully long finale. Drink 2023+, Don't Miss! An even more complex nose displays excellent Chablis typicity with its combination of citrus, white orchard fruit, sea breeze, mineral reduction and soft oyster shell nuances. The broad-shouldered flavors are rich and concentrated to the point of opulence while managing to retain reasonably good precision on the citrus and solidly dry finale that really fans out as it sits on the palate. This is one of the few 2016s that may need most of a decade to arrive at its peak. In a word, impressive. Drink 2023+, Don't Miss! The Seville Syrah is now benefitting from a number of years of good biological farming; producing thicker skins, higher natural acid, brighter flavours and longer chain tannins. Syme on Yarra vineyard. Grown as biological farming, no pesticides, fungicides or herbicides used, mainly organic farming with some BD preps. Soil is traditional Yarra duplex loam over mud rock with some red clay and Monbulk soil transitioning throughout. 100% whole bunch ferment with indigenous yeasts. Pressed to older 500 and 300L barrels for ten months. Warm years are nothing new to Great Western, indeed it is the norm. We have been choosing to harvest earlier every year in the Garden Gully vineyard, this year was drastically different, being more than a month earlier than usual, however this provides a freshness and levity that belies the early season. Still, with its trademark old vine intensity, our aim is to ever build a prettier Garden Gully Syrah. Garden Gully vineyard is a 1892 planting of low yielding bush vines. Hand harvested and fermented as 100% whole bunches in a 500L puncheon with the head removed for 40 days. Pressed to one 400L puncheon and bottled after ten months unfiltered and unfined. Pyren vineyard is a low cropping dry farmed site, always picking early due to the small yields and small berries. The pink granite soils lend a tell warmer years. Quartz laced pink granite soil - with heavy rock top soil. A low yielding, dry farmed vineyard. Small berries and small bunches. Fermented as 100% whole bunches, 60 day extended maceration, old oak and bottled unfiltered unfined. This is profound. The compelling bouquet shows ripe cherries and plums with gorgeous nuances of warm spice, toasted almonds, earthy mushrooms and olives. The palate displays awesome concentration and depth, wonderfully enhanced by velvety mouthfeel and layers of fine texture. Tannins are polished and seamlessly woven into this spellbinding wine. At its best: 2020 to 2030. Almost a roast red capsicum smell, and cinnamon spice, red fruits, dried rose petal, lead pencil oak, assorted dried herbs. Medium-bodied, finely etched, clarity and tension, a more minerally expression of Ata Rangi here, with kitten’s tongue tannin, brightly lit acidity, and long sappy orange peel finish.